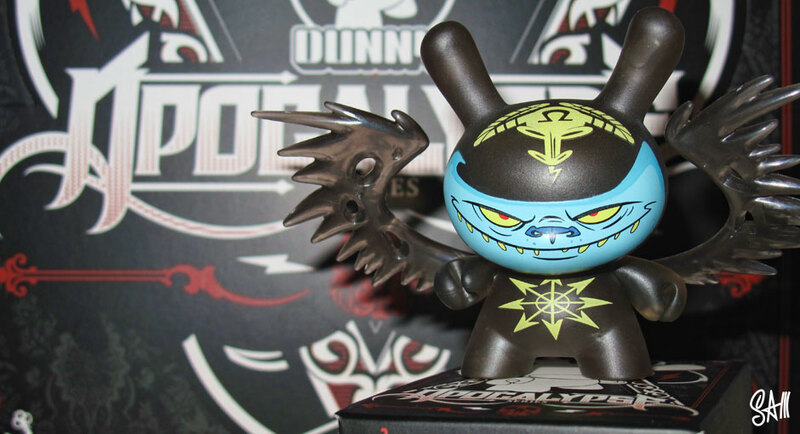 Dunny design created for KidRobot Apocalypse series. Design features Sam’s signature style cast in clear black vinyl with glow-in-the-dark details. Fellow artists in the series include Kronk, Joe Ledbetter, Huck Gee, Mishka, Hydro 74, and Chris Ryniak, et al. Product release November 2012.